• Cape Elizabeth – Community parade begins at 9 a.m. Parade runs from the corner of Fowler and Ocean House roads to Scott Dyer Road. This year’s grand marshal is Frances Jordan Banks, who served as a nurse in the U.S. Army during World War II. Parade will be followed by a short ceremony in front of Pond Cove Elementary School. Immediately after the ceremony, the fire department will hold an open house at the Town Center Fire Station. Contact Jim at jhuebene@maine.rr.com or 767-1754 for more information. • Scarborough – Community parade begins at 10 a.m. and runs from the high school to the Maine Veterans Home on Route 1. Parade will be followed by a brief ceremony at the Monument for Service. Then, at noon, American Legion Post 76 will hold an open house. Other events on Memorial Day include short services at each of the town’s cemeteries and other special spots – 8 a.m. at Black Point Cemetery; 8:30 a.m. at Dunstan Soldiers Monument; 8:45 a.m. at Dunstan Cemetery; 9 a.m. at Blue Point Cemetery; and 9:15 a.m. at Memorial Park in Oak Hill. Call 883-3902 for more information. • South Portland – An outdoor Mass will be celebrated near the Saint Dominic/Armed Forces section of the new Calvary Cemetery at 9 a.m. Attendees should bring their own lawn chairs. Community parade starts at 10:30 a.m. at Southern Maine Community College and ends at the Veterans Memorial in Mill Creek Park. Parade will be followed by a short ceremony at the monument. At noon there will be a wreath laying at the public boat launch at Bug Light Park. 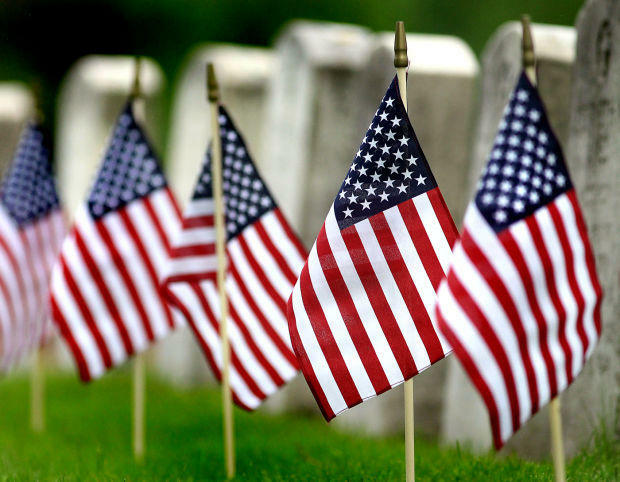 In addition, on Saturday, May 28, members of the South Portland War Veterans Memorial Association will gather at 9 a.m. at 50 Peary Terrace to place flags at all five of the city’s cemeteries. Volunteers are welcome. Call call 767-2575 or 799-3997 for more information.